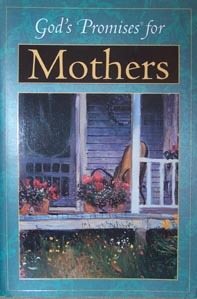 In March, 1995 I purchased this book for my mother. She loved it so well the pages are very worn. My mother passed away in October and I am reading it now. It is wonderful for all the different situations that come up in the life of a mother. It offers great encouragement from God's Word. I bought this book for myself years ago and it's been my constant companion ever since. When I'm worried, fearful, happy or in need of guidance. I can turn to this little book, look up the section that best fits my need and find scripture readings that relate exactly to me, my life and that of my family. The book is designed for just that use. The best way can I describe it is instant Bible gratification. It is a must for every Christian mother, who wants God to be a part of her parenting. This book should prove to be a real boon in working with new Christians. It is direct, to the point, and uses only Scriptures to do it. Skip religion and theology and take the individual directly to the simple precepts of inerrant Bible doctrine! Further, if the one being guided has the discipline to use this simple little book as a meditational device; he or she can find the relationship of the Christian's life. I am using it with my counselees. We discuss one chapter each week. In seven weeks, I start over with a new group." 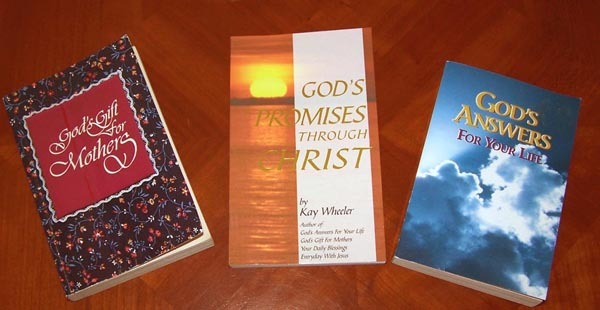 "For ALL THE PROMISES of God in Him are yea, and in Him, Amen"
All the promises of God are made possible only through Christ -- from Genesis to Revelation, the Bible reflects God's plan to bless and save fallen mankind through one person, Jesus Christ! Herein are the precious promises of God, made real and possible through Christ Jesus, our Lord; to Whom be glory and honor forever and ever. 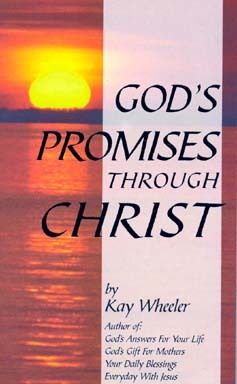 Chapters include: God's Promises Through Christ's Words; God's Promises Through Christ's Purposes; God's Promises through Christ's Provisions. 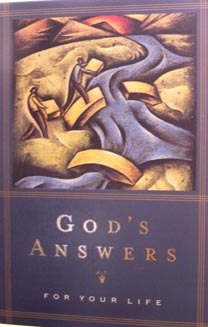 For all of life's struggles and uncertainties, God has the answer. 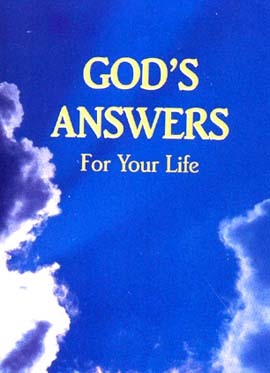 This edition of the best-selling God's Answers for Your Life explores the breadth and width of the Christian's walk with God, from first steps in Christ to growing and maturing in Him to ministering to others along the path. Life is never uncertain when God is at the helm. 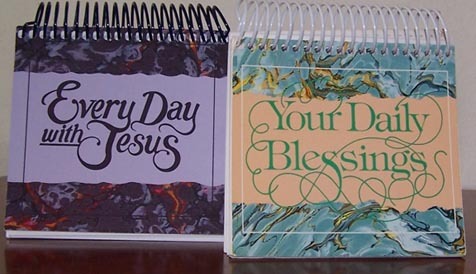 An ideal gift for the new Christian or legacy to family and friends. Features the trusted New King James translation. Each topic is indexed with Scripture.